You must be a member of the Madrid American Group to attend this activity. Would you like to join this group? Dear members of American Club in Madrid! 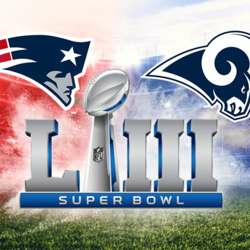 I would like to invite you to join me for the Finals of NFL season, Super Bowl 53(LIII Protected content , where Los Angeles Rams will play with New England Patriots. We assure that we will have everything to enjoy watching that game together: Good atmosphere of the venue, the food with the kitchen open until 2:00 am, drinks of your choice and huge TV screen. It is a bit late, but we should respect the time difference which we have between Spain and USA. Please send me a short confirmation message via private message here or WhatsApp till 2 February 22:00, because we need to say ,more or less, exact number of attendees to be able to book a space for us.